This week I’ve been working on arranging jazz melodies for solo bass. I’m incorporating both bass and melody parts into my solo bass arrangements. To help me, I’ve been studying the great jazz guitarist Martin Taylor and specifically his book called Beyond Chord Melody. Why arrange music for solo bass? 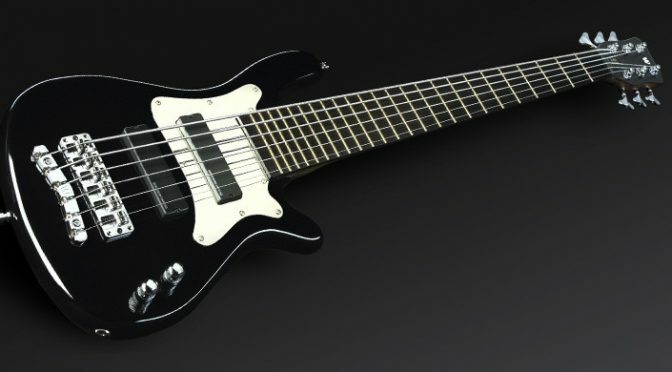 I’ve always felt that 6 string bass guitars are very well suited to being played solo. In many ways better suited than guitars, because there’s the potential to play bass lines in the lower register. 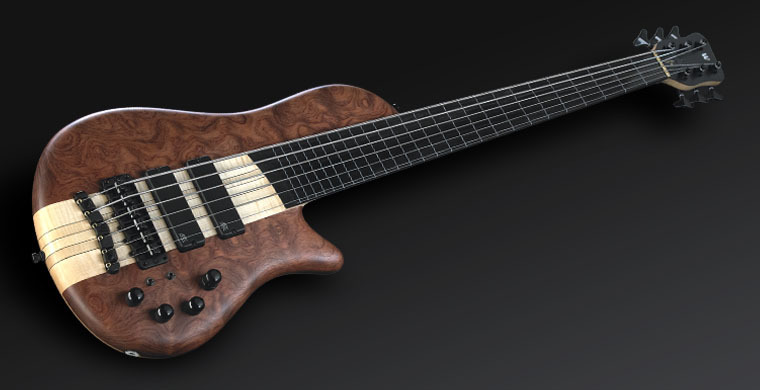 I often get comments about being like a guitarist when I play my 6 string basses. And many people can’t understand why I don’t just play the guitar when I play in this style. It’s not a comparison that I find in any way insulting. 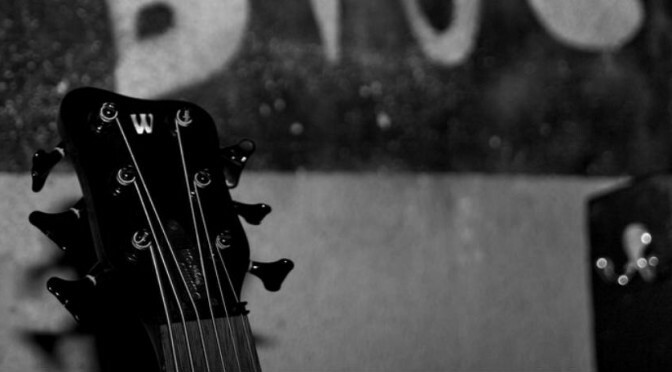 I do play the guitar and I love the guitar. But I prefer the bass. And I arrange music for solo bass because, in many musical situations, I prefer the sound of solo bass. It’s also a less common sound because fewer people do it. And there’s nothing more interesting to me than hearing music that I haven’t heard before. All of my 6 string basses have a range that goes to at least a C above middle C. So there’s more than enough range to arrange melodies in the high male voice tenor voice. And there’s the mid range that is ideal for piano style chord voicing. Martin Taylor is a supremely talented musician, best known for playing solo jazz arrangements on guitar. It would be hard to find a better expert for arranging solo jazz on any instrument. I think it’s so important to study great musicians of all instruments and styles if you want to become a really rounded musician. His new book Beyond Chord Melody was recently released by Fundamental Changes. The same music book publishing company that published my book Electric Bass: Improve Your Groove (learn more by clicking here). 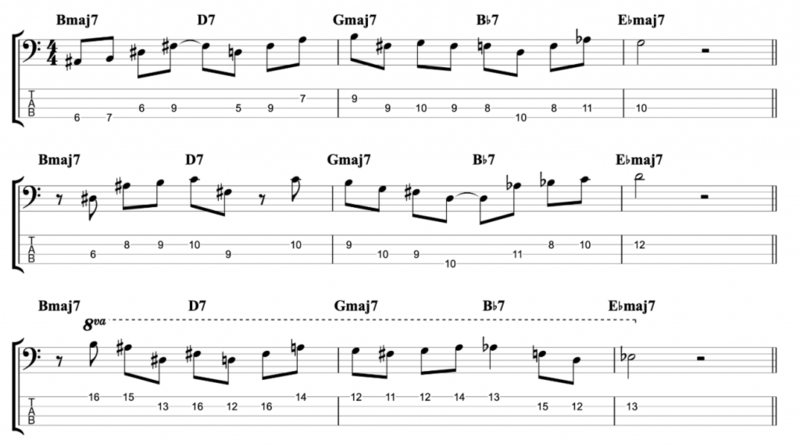 In Beyond Chord Melody Martin Taylor lays out a 7-step approach to solo guitar playing. The steps include harmony, melody, chord melody, inner lines and the one that is most relevant here, melody and bass. This week I’ve been working on some of Anthony Jackson’s phenomenal bass lines from the albums he made with Michel Camilo. In the video I’ve featured an excerpt from a composition called Not Yet. It features on several albums but the version I’ve been working with comes from an album called Why Not? I’ve heard so many great musicians say that Anthony Jackson is their favourite bass player. And it’s for good reason. 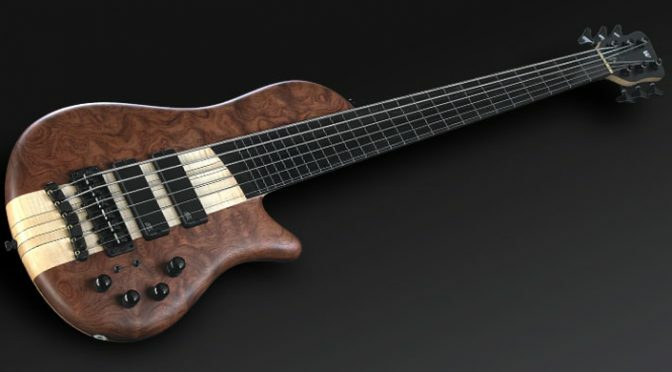 He is often credited as the originator of the modern six string bass guitar. Which he called a Contrabass Guitar and first started playing in the 1970’s. He must be one of the most recorded bass players of the 20th century and he is perhaps best known for playing with popular singers like Chaka Khan and the O’Jays. But jazz followers know him for playing with the likes of Chick Corea, Pat Metheny, Michel Petrucciani and the subject of this post Michel Camilo. Anthony Jackson must have one of the longest CV’s of any bass player in history. So it’s easy to miss recordings in his incredible discography. I would urge everybody to find the recordings he made with Michel Camilo because they are wonderful. And they contain some of the finest examples of electric bass playing ever heard. I would particularly recommend the big band albums Caribe and One More Once. I’ve been looking at a few of the pieces from Michel Camilo and Anthony Jackson this week. Including Caribe and Just Kidding. I may post excepts from those tunes in future. But I decided to start with an excerpt from Not Yet because I think it perfectly encapsulates both Anthony Jackson’s incredible bass playing and Michel Camilo’s wonderful composing. The bass line is comprised of both improvised sections and fast composed runs. Linking the sections together is extremely technically challenging and it’s fast! Many people don’t think of Anthony Jackson as being the fastest bass player out there, but this performance begs to differ. What stands out for me is the way he uses the full range of the instrument. Often going from high to very low in the blink of an eye. But always keeping his tone very even with a huge low end sound. His bass lines are always, first and foremost, musical. No matter how technical or not, his musicianship and musicality always shines through.